A startup aimed at making saving and investment opportunities accessible to young people in India has closed a $6.2 million Series A funding to grow its business further. A part of Y Combinator in the US last year, Groww raised $1.6 million “pre series A” funding in June of 2018. Founded by four ex-Flipkart staffers- Lalit Keshre, Harsh Jain, Neeraj Singh, and Ishan Bansal, Groww is set out solve the difficulty in investing faced by many young 21st century Indians. Led by Sequoia India with participation from Y Combinator, Propel Venture Partners and Kauffman Fellow. The company is already backed by big names such as Singapore’s Insignia Venture Partners, Lightbridge Partners, and Kairos. 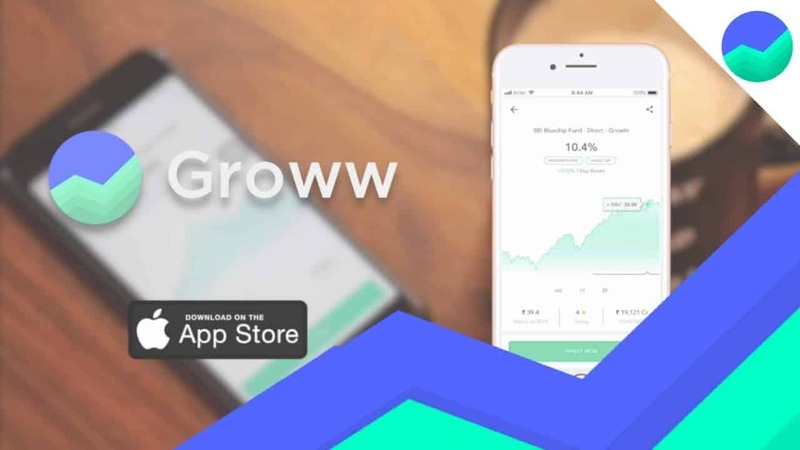 Groww is a mobile application that lets its users invest in mutual funds, including systematic investment planning (SIP) and equity-linked savings. With more than one million registered users the app is available in IOS, Android and the web platforms. It offers its users a gambit of 5,000 mutual funds, which are directly accessible for investment from its app. The new money will be spent in hiring and developing technology to support new products such as direct investments and ETFs with an ambition to offer insurance and more. The focus is on keeping the app, and its user interfaces simple and easy to use. But like Robin-hood in the US, the larger goals of the company is to democratize investing, with a sharp focus on attracting the 21st-century youth of India. There are a total of 200 million people with investable income in India but only a 10th of this, 20 million are investing in one instrument or the other. The only way to bring the rest 180 on board is to make investment simple and accessible. Groww is among the first financial technology start-up in India that focusses on liberating the traditional investing models. With a sharp focus on developing future ready artificial intelligence-driven data modules, the financial technology firm is all set to take the India investment market on a digital transformation journey. This deal also marks the entry of BBVA Ventures (Banco Bilbao Vizcaya Argentaria) into the Indian Financial Technology landscape with a share of the funding coming from the Argentinian venture capital firm’s fintech fund.